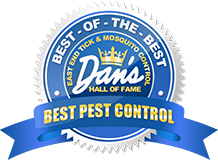 When it comes to ticks, it can seem like there is almost no help besides your friends over at East End Tick and Mosquito Control®. Deer, mice, squirrels, even dogs, man’s best friend, can aid in the spreading of ticks. However, there are a few animals that can live on Long Island that actually eat ticks. With the spread of Lyme Disease, these animals can be extremely beneficial to the residents of Long Island. You may have seen these bizarre, even ugly animals at night while driving your car. They look almost like a rat, and almost like a weasel, they’re about the size of a cat, but they are more closely related to koalas and kangaroos. Opossums are North America’s only marsupial this means that they are mammals that keep their young in a pouch on their body. Opossums are nocturnal, which is why most of the times they are seen is on the road at night. Opossums are omnivores, they’ll eat both plant and animal life. They’re opportunistic as well. Meaning they will eat whatever is easiest to find. This brings us to how they end up eating ticks. Opossums seek their food on the ground, often eating insects and mice. While searching for food, ticks will latch on to opossums, as they do with other animals that cross their path. Opossums, however, are very clean animals. They regularly groom themselves, and in this grooming often find and eat the ticks they find. So while these animals might be ugly, they do aid in keeping those pesky ticks away which should make their presence not only tolerable but welcome. 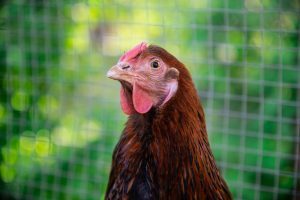 Many people have begun to own chickens, and for good reason too. Many see them as pets that give the added benefit of providing breakfast in the form of eggs every few days. It can also be a rewarding experience to raise a chicken from a chick to a full grown chicken. They are relatively easy to raise once they have a coop built for them as they eat nearly everything, many chicken owners feed them with table scraps. They will also roam around where they are allowed and eat any bugs they can catch, including ticks! Yes, your egg-producing chickens can also keep disease-spreading ticks out of your yard. The Guinea Fowl is a species of bird in the same family as the peacock. Guinea Fowls originated in Africa, however, they are hardy and can survive in most places. While they are not commonly seen as pets, they can be seen once in awhile on a farm. Guinea Fowl are much more adept at eating ticks than chickens as more of their diet is bugs. Guinea Fowl will roam around an area actively seeking bugs to eat. While we can’t recommend relying on opossums or pet birds to completely rid your property of ticks, it is nice to know that we can get a little help from the animal kingdom. The best way to keep your property clear of ticks is to make it inhospitable to ticks by keeping the grass short and raking up leaves. 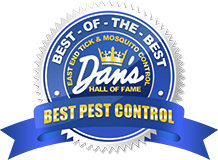 This in conjunction with tick spraying from East End Tick and Mosquito Control® will keep your property free of disease spreading ticks and mosquitoes.